8 May 1929: Lieutenant Apollo Soucek, United States Navy, set a Fédération Aéronautique Internationale (FAI) World Record for Altitude when he flew the prototype Wright Aeronautical Division XF3W-1 Apache, Bu. No. A7223, to 11,930 meters (39,140 feet) over NAS Anacostia, Washington, D.C.¹ The record was certified by the National Aeronautic Association. 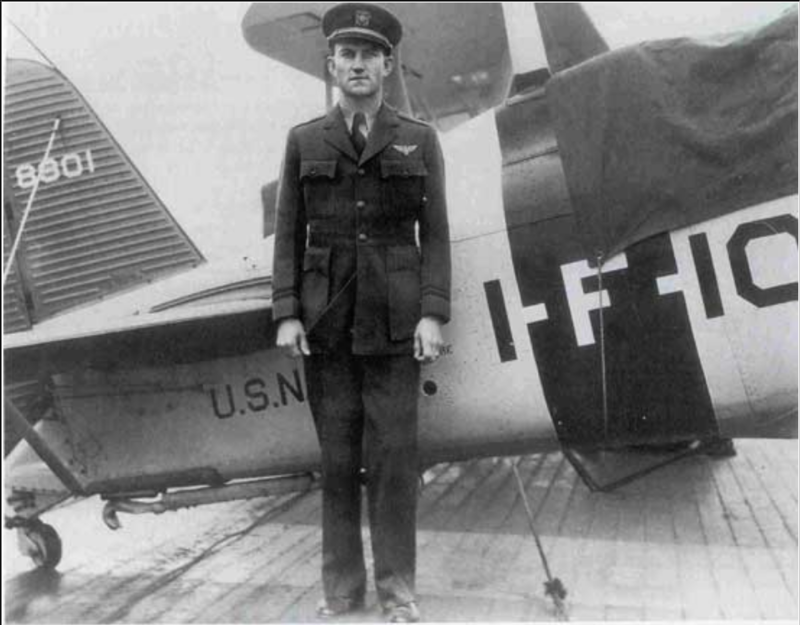 Lieutenant Soucek was awarded the Distinguished Flying Cross for this achievement. Lieutenant Apollo Soucek, United States Navy. Wright Aeronautical Division XF3W-1 Apache, Bureau of Aeronautics serial number A7223, was a prototype for a single-place, single-engine fighter for the U.S. Navy. 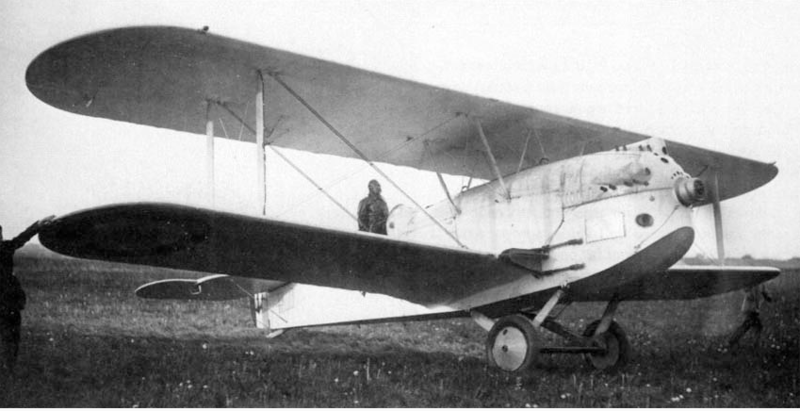 The XF3W-1 was a single-bay biplane with a fuselage constructed of steel tubing, covered with doped fabric. The wings were constructed of wood. It was 22 feet, 1 inch (6.731 meters) long with a wingspan of 27 feet, 4 inches (8.331 meters) and height of 8 feet, 6 inches (2.591 meters). It had an empty wight of 1,414 pounds (641 kilograms) and gross weight of 2,128 pounds (965 kilograms). Only one XF3W-1 was built. 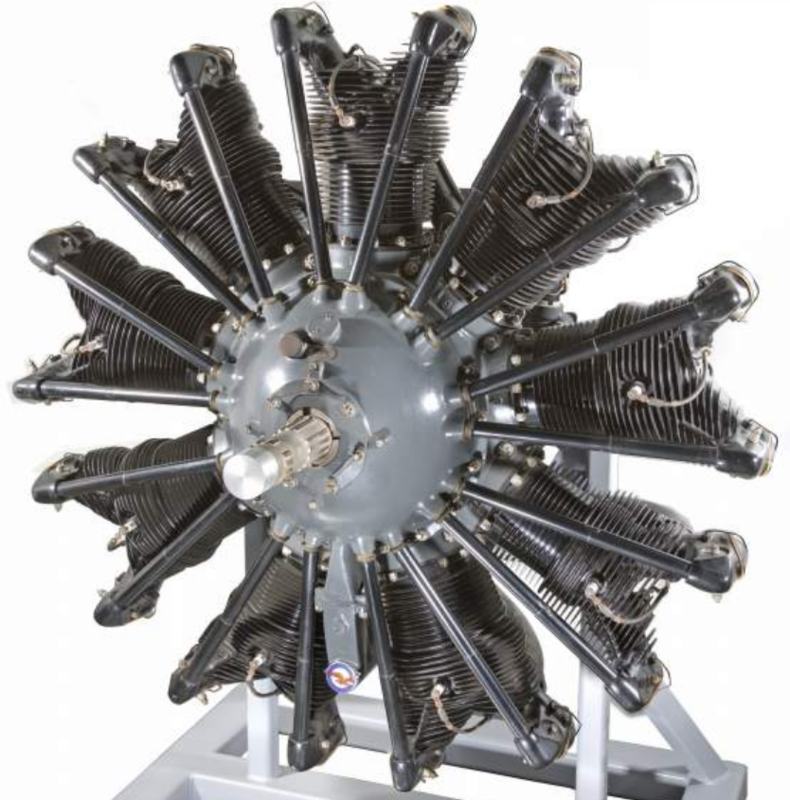 The XF3W-1 was designed to use the new air-cooled, supercharged 1,176.036-cubic-inch-displacement (19.272 liters) Wright Aeronautical Division R-1200 Simoon 9-cylinder radial engine, which was rated at 350 horsepower at 1,900 r.p.m. The R-1200 weighed 640 pounds (290 kilograms). After taking delivery of the prototype, the Navy installed the number two Pratt & Whitney Wasp A engine. 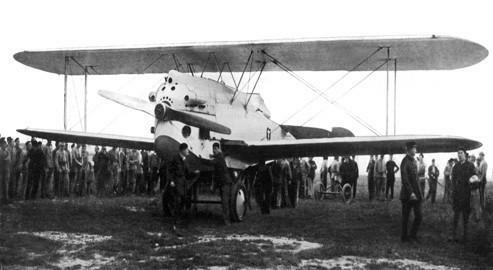 (The XF3W-1 was the first airplane to fly with a Pratt & Whitney Wasp engine, 5 May 1926.) The Wasp A was an air-cooled, supercharged, 1,343.8-cubic-inch displacement (22.021 liters) nine-cylinder radial direct-drive engine with a compression ratio of 5.25:1. It was rated at 410 horsepower at 1,900 r.p.m. at Sea Level, burning 58 octane gasoline. The Wasp A was 3 feet, 6.63 inches (1.083 meters) long, 4 feet, 3.44 inches (1.307 meters) in diameter, and weighed 745 pounds (338 kilograms). 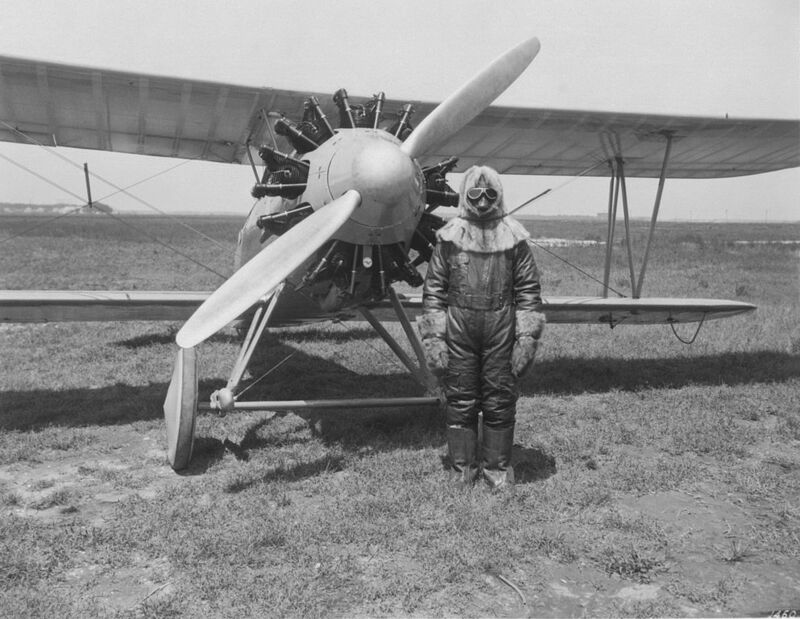 The National Advisory Committee for Aeronautics (NACA) used the XF3W-1 for engine and cowling tests at the Langley Memorial Aeronautical Laboratory (LMAL), Langley Field, Hampton, Virginia. Which engine was installed at the time of Lieutenant Soucek’s record flight is uncertain. The XF3W-1’s engine was supercharged by a NACA Model 2E Roots-type supercharger, built by the Allison Engineering Company. This supercharger, serial number 1, is in the collection of the National Air and Space Museum. The XF3W-1 was also configured as a float plane. Apollo Soucek was born 24 February 1897, at Lamont, Oklahoma. He was a son of Bohemian immigrants, Johann Grothard Soucek, a blacksmith, and Ludmila Pishny Soucek. He had a brother, two years his junior, named Zeus. Midshipman Soucek graduated and was commissioned an ensign, United States Navy, with a date of precedence of 3 June 1921. Ensign Soucek’s first assignment was aboard the New Mexico-class battleship, USS Mississippi (BB-41). In February 1924, Ensign Soucek was transferred to the Naval Air Station, Pensacola, Florida, for flight instruction. 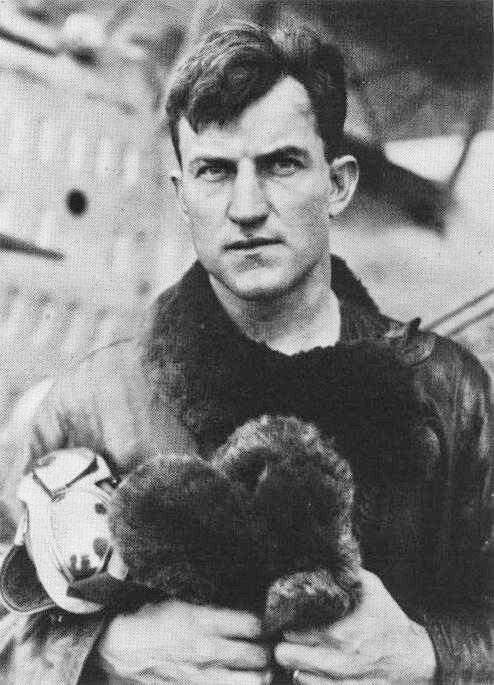 He was designated a Naval Aviator in October 1924. 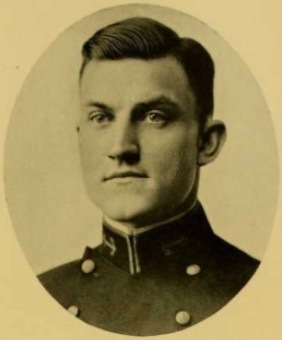 He was promoted to lieutenant (junior grade) and assigned as assistant flight officer aboard the U.S. Navy’s first aircraft carrier, USS Langley (CV-1). He was next transferred to Observation Squadron 1 (VO-1), Aircraft Squadrons, Battle Fleet, aboard USS Maryland (BB-46), a Colorado-class battleship. He had collateral duty as the ship’s assistant navigator. 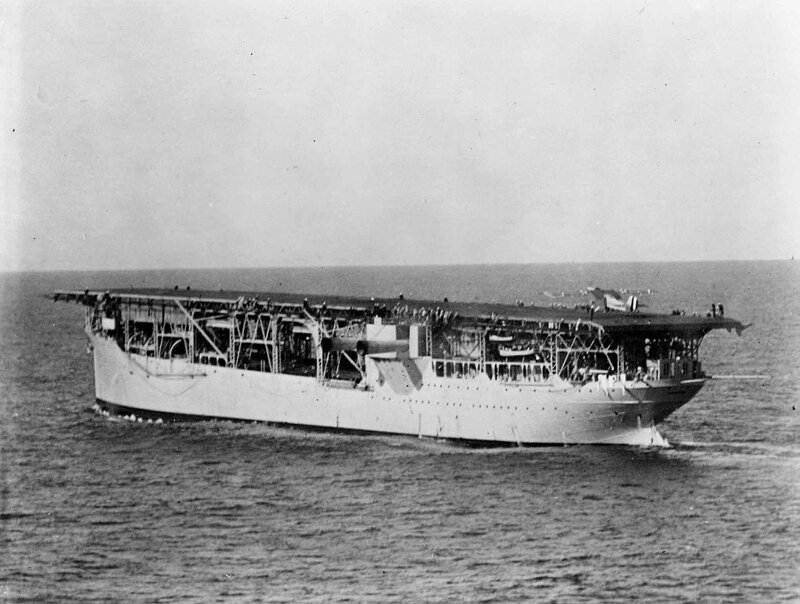 In 1925, Lieutenant (j. g.) Souceck served aboard USS Aroostock (CM-3), a minesweeper which had been converted to an aircraft tender, and in 1926, was assigned to the Naval Aircraft Factory, Philadephia, Pennsylvania. Lieutenant (j.g.) Soucek was promoted to lieutenant, 3 June 1927, and he began a tour of duty with the Bureau of Aeronautics, 29 June 1927. He specialized in engines in the Bureau’s Material Division. Lieutenant Apollo Soucek married Miss Agnes Eleanor O’Connor at Washington, D.C., 27 May 1930. 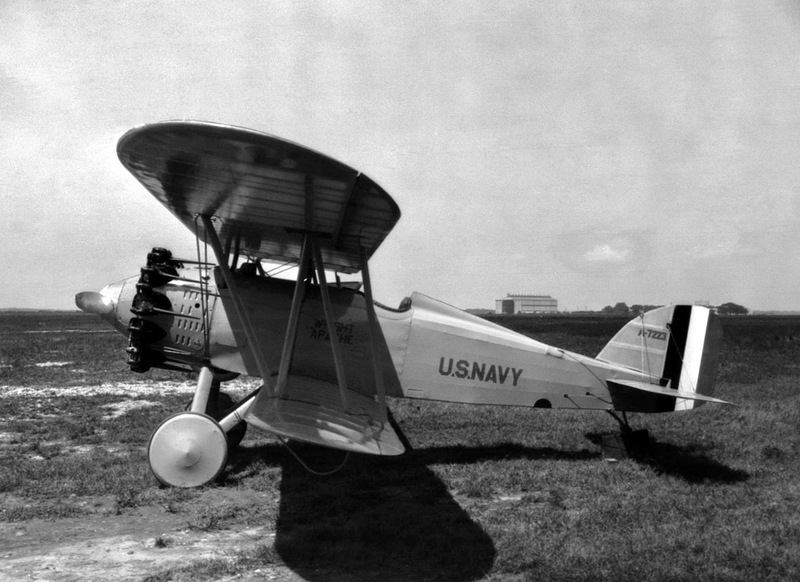 In 1931, Lieutenant Souceck served with Fighting Squadron 1B (VF-1B). He returned to duty at the Naval Aircraft Factory in 1933. 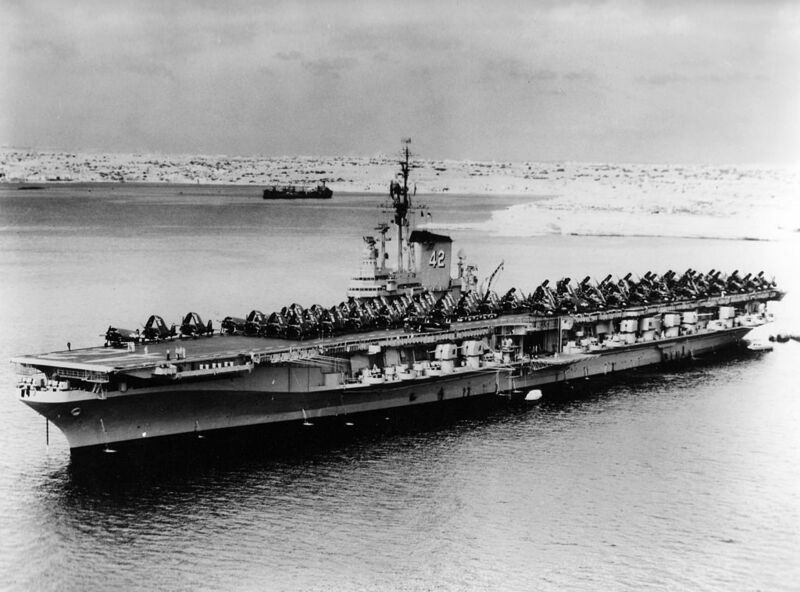 In 1936, Lieutenant Souceck served aboard the aircraft carrier USS Ranger (CV-4). Souceck was promoted to the rank of lieutenant commander, 3 June 1937, and was assigned as commanding officer of Fighting Squadron 2 (VF-2). In 1938, he returned to the Bureau of Aeronautics, working in both the Flight Division and the Personnel Division. In 1940, Lieutenant Commander Soucek served as navigator aboard USS Yorktown (CV-5). Souceck was promoted to the rank of commander, 27 August 1941. 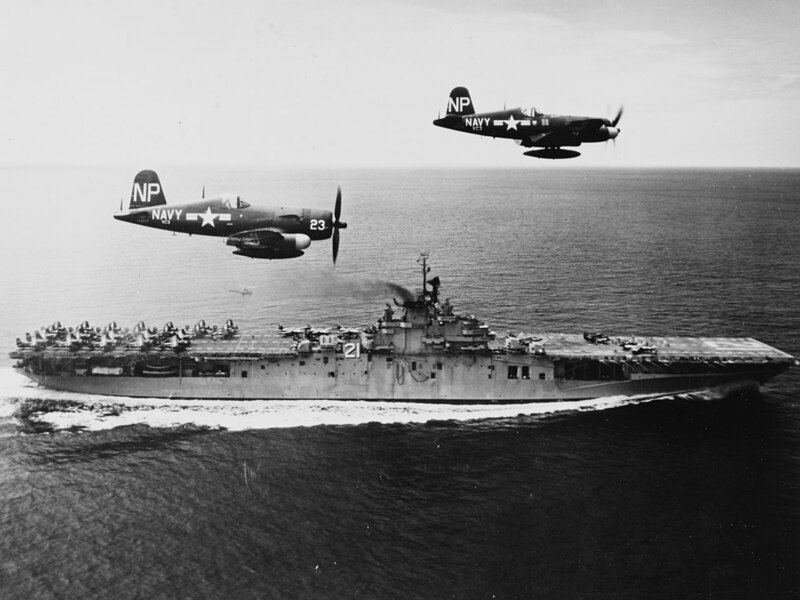 He was assigned as Air Officer aboard the Yorktown-class aircraft carrier, USS Hornet (CV-8). When the carrier’s executive officer was promoted, Commander Soucek was assigned as Hornet‘s executive officer, serving under Captain Marc A. Mitscher. Hornet participated in the Halsey-Doolittle Raid of 18 April 1942; the Battle of Midway; and the Solomons Campaign. Commander Soucek was promoted to the rank of captain (temporary), 20 August 1942, with date of rank 20 June 1942. 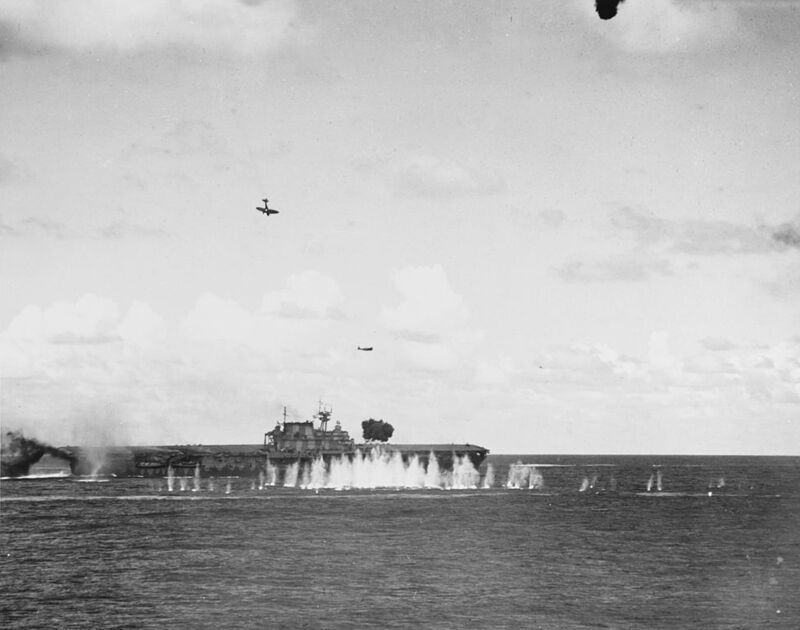 Hornet was sunk at the Battle of the Santa Cruz Islands, 27 October 1942. Captain Soucek was awarded the Silver Star for his actions during the battle. Captain Soucek next was as assistant chief of staff for operations, U.S Pacific Fleet, the the Naval Air Training Command. He was promoted to the rank of rear admiral (temporary), 23 July 1944. After the war, reverted to the permanent rank of captain, with the 23 July 1944 date of rank. On 27 October 1945, Captain Soucek became the first commanding officer of the Midway-class aircraft carrier, USS Franklin D. Roosevelt (CVB-42). He was appointed Commander, Carrier Division 14, in January 1946. He remained in command of Roosevelt until relieved, 2 March 1946. After leaving Roosevelt, Soucek was assigned as Commander Fleet Air Wing 1. From July 1947 through 1949, Rear Admiral Soucek was Commander, Naval Air Test Center, Patuxent River, Maryland. 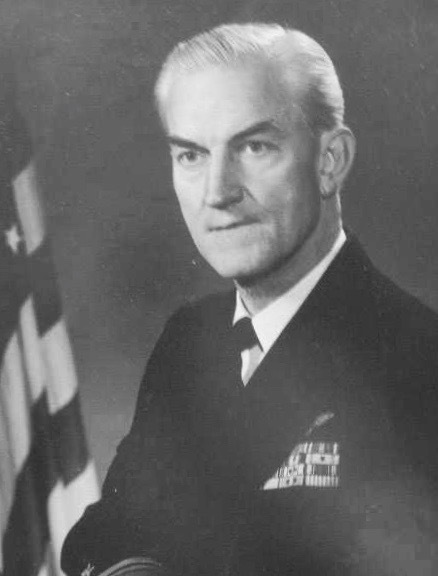 In late 1949, he was Assistant Chief of Naval Operations for Aviation Plans, and then, in 1950, Director, Aviation Plans, in the Office of the Chief of Naval Operations. In 1951 Rear Admiral Soucek was appointed Naval Attaché for Air at the United States Embassy, London, England. His wife, Agnes, died that year. Soucek returned to combat during the Korean War. 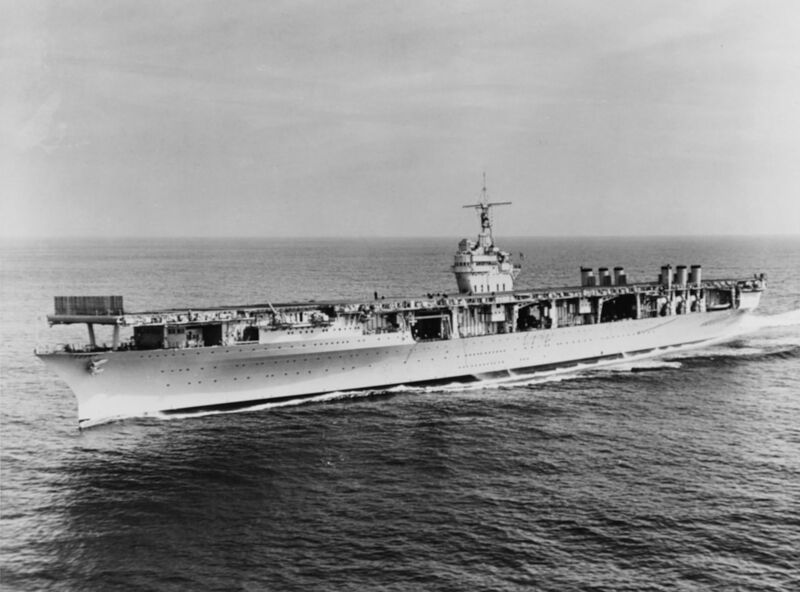 In 1952, he commanded Carrier Division 3 and Task Force 77 from his flagship, USS Boxer (CV-21). He was awarded the Distinguished Service Medal. Rear Admiral Soucek became Chief, Bureau of Aeronautics, 18 June 1953. In 1954, Rear Admiral Soucek became a member of the advisory board of the Smithsonian Institution National Air Museum, serving without compensation. Soucek suffered a heart attack in February 1955. Unable to return to full duty, he was transferred to the Retired List on 1 July 1955. Rear Admiral Apollo Soucek, United States Navy, died at his home in Washington, D.C., 19 July 1955. He was posthumously promoted to the rank of Vice Admiral. He was buried at the Arlington National Cemetery. Rear Admiral Apollo Soucek, United States Navy. 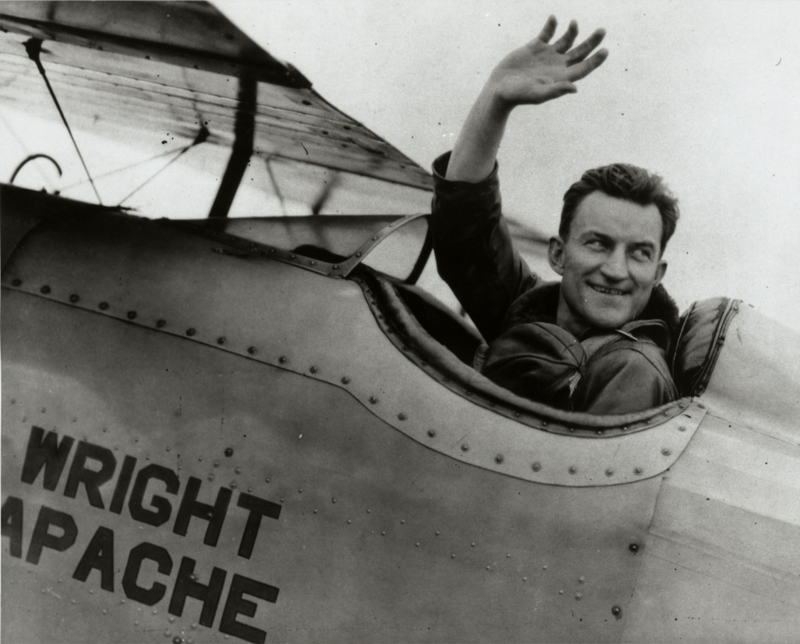 8 May 1927: At 5:18 a.m., famed World War I aviators François Coli and Charles Eugène Jules Marie Nungesser departed Le Bourget Airport, Paris, aboard their single-engine Lavasseur PL.8 biplane, L’Oiseau Blanc (“The White Bird”). Their destination was New York City, non-stop across the Atlantic Ocean. In 1919, New York hotel owner Raymond Orteig offered a $25,000 prize to the first aviator(s) who flew non-stop from New York to Paris or the reverse. It was several years before the technology had progressed far enough that this became possible. By 1927, a number of people on both sides of the Atlantic had begun preparations for just such a flight. 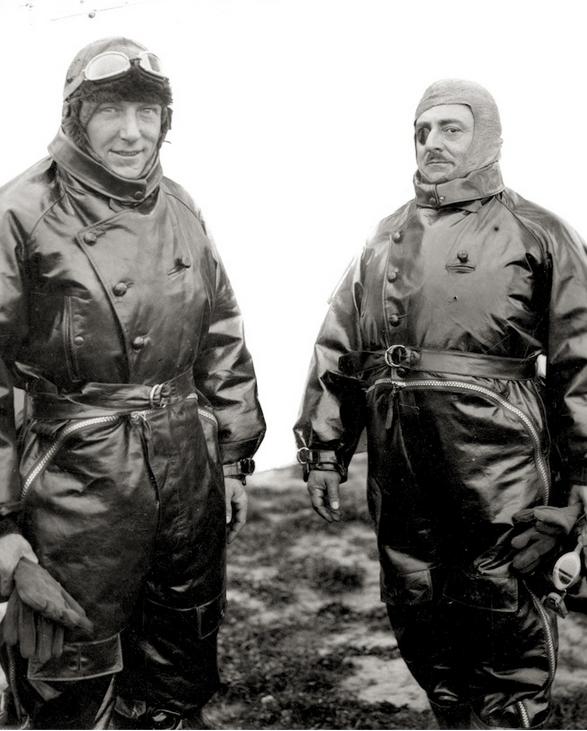 Coli had begun planning a transatlantic flight as early as 1923. He and a wartime friend, fighter ace Paul Tarascon, were interested in the Orteig Prize, but after being injured in a crash, Tarascon was replaced by Charles Nungesser. Coli was in charge of the flight. François Coli, a former sea captain, had enlisted as a private in the French Army at the start of the War when no position was offered to him as captain of a French naval vessel. By 1915 he was a commissioned officer and soon promoted to the rank of captain. Severely wounded and no longer able to serve in the infantry, he became a pilot in 1916, and later a squadron commander. In 1918, Coli lost his right eye in an airplane crash. He was considered to be an excellent leader and was known as an expert navigator. 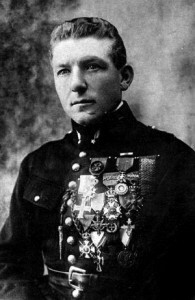 Charles Nungesser was the third-leading French fighter ace of World War I. His was a flamboyant personality. He didn’t like military discipline and was punished for it several times. But he was a highly successful fighter pilot, with an official record of 42 aerial victories. Like Coli, he had been seriously wounded on numerous occasions. 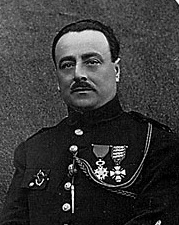 He was awarded the Officier de la Legion d’Honneur, Chevalier de la Legion d’Honneur, and the Médaille Militaire, as well as many foreign decorations for valor. The Sociéte Pierre Levasseur Aéronautique PL.8 was a modified naval reconnaissance airplane, built especially for the Atlantic crossing. The wings were lengthened and the fuselage reinforced. It was 9.7 meters (31 feet, 10 inches) long with a wingspan of 14.6 meters (47 feet, 11 inches) and height of 3.9 meters (12 feet, 9.5 inches). The single-bay biplane had an empty weight of 1,905 kilograms (4,199.8 pounds) and gross weight of 5,030 kilograms (11,089.25 pounds). Three large fuel tanks were installed with a total capacity of 4,000 liters (1,057 gallons) of gasoline. L’Oiseau Blanc was powered by a liquid-cooled, normally-aspirated 24.429 liter (1,490.751-cubic-inch) Société Lorraine des Anciens Establissements de Dietrich & Cie de Lunéville (Lorraine-Dietrich) 12Ed “broad arrow” (W-12) single overhead camshaft (SOHC) engine which had three banks of four cylinders spaced at 60° angles and driving a single crankshaft. It had a compression ratio of 6:1 and produced 450 chaval vapeur (443.8 horsepower) at 1,850 r.p.m. Reduction gearing reduced propeller r.p.m. by a ratio of 1.545:1. The two-bladed forged duralumin propeller had a diameter of 3.80 meters (12 feet, 8.5 inches). The 12Ed was 1.374 meters (4 feet, 6.10 inches) long, 1.210 meters (3.970 feet, 11.64 inches) wide and 1.138 meters (3 feet, 8.81 inches) high. It weighed 363.874 kilograms (802.205 pounds). 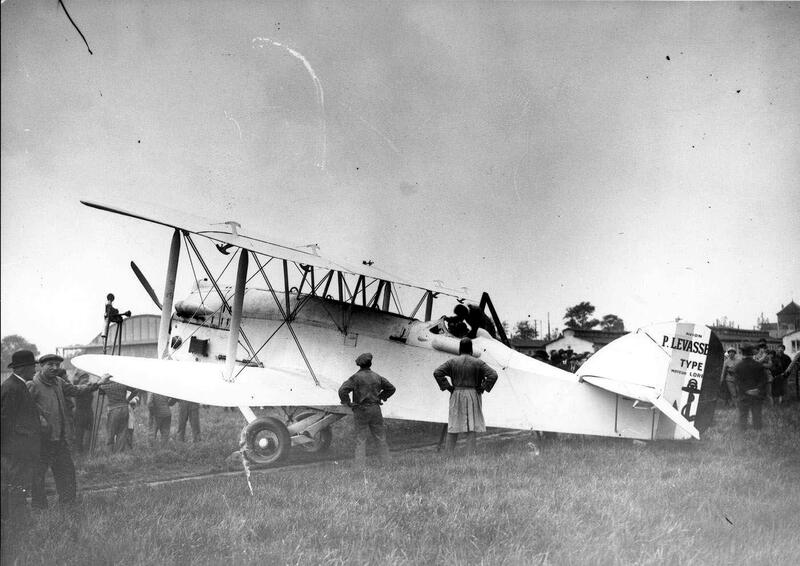 Sociéte Pierre Levasseur Aéronautique PL-8, L’Oiseau Blanc. The two aviators planned to land on the water in front of the Statue of Liberty, so they had the PL.8’s landing gear modified so that it could be dropped after takeoff, saving the unneeded weight and decreasing the airplane’s aerodynamic drag. The White Bird‘s maximum speed was 193 kilometers per hour (120 miles per hour), with a cruising speed of 165 kilometers per hour (103 miles per hour). Its range was 7,000 kilometers (4,350 miles). The service ceiling was 7,000 meters (22,966 feet). When The White Bird left Paris, it was carrying enough fuel for 42 hours of flight. It was escorted as far as the English Channel by several airplanes and crossed the coast at about 7:00 a.m.
Nungesser and Coli never arrived at New York. They were never seen again, and their fate is a mystery.